Nice photo. 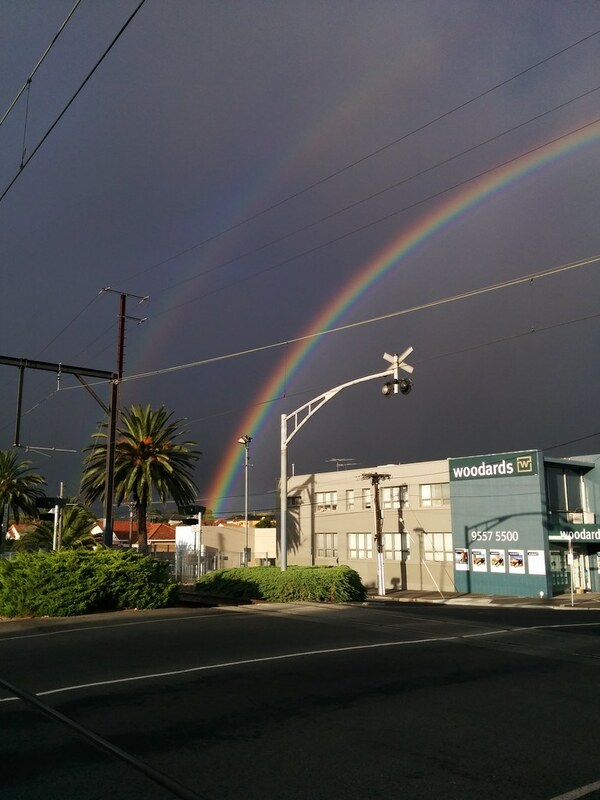 The real estate agent could almost use it as a publicity shot – a pot of gold…. That is an inky black sky. The sun won’t be shining on Woodards for long.